Why No Spray sells Hawaii’s Simple Gourmet Chocolate! 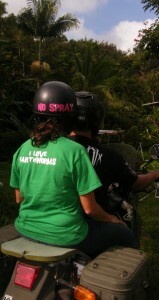 Why “No Spray” sells Hawaii’s Simple Gourmet Chocolate! Here at “No Spray” we are all about developing educational tools to help provide information about our current agriculture affairs to others who may not know. We understand that in order for change to happen, awareness must be brought upon. People need to know what is really happening with our food industry, primarily on how chemicals are sprayed on our food on a daily basis. One way we help spread awareness is to provide shirts for sale with informational tags attached. Our shirts have cool sayings like “Microbes are my Friend”, “I Love Earthworms”, “Go Compost” and “All Natural”. (For more information about our shirts CLICK HERE) When you wear one of these shirts people tend to ask you what does it mean and at that moment you are given the opportunity to help spread awareness about what you know or learned about our agriculture system and why it is important to you. It works!! We are excited to say that people are learning everyday! Why do we care? The more we learn about agriculture the more we realize that it effects everyone on a daily basis and it will affect our future . A lot of diseases, disorders, pain and suffering are linked to the foods we eat or do not eat. Food nourishes our bodies. The food we eat should contain nutrients. It should contain minerals and vitamins and wholesomeness. But in reality, that is just not so. Our food is grown being fed chemicals that have to be applied with hazardous material suits on. Then they are sprayed with several kinds of chemicals (that are extremely hard to pronounce) to rid pest, diseases and even other plants that are growing nearby. Then they spray it with another chemical to protect it during shipping. We are talking about fresh food like broccoli and lettuce. Packaged and ready-made food is a whole other issue worth looking into, soon. The worst part about all this is that most chocolate we eat is part of all that poison-produced foods/products. Like so many other Americans, over 76% of us LOVE CHOCOLATE. We love chocolate and we love good desserts. But a lot of the medicinal properties are lost in the processing of non-organic chocolate. Also a very high amount of white, refined sugar is also used to make it taste oh so good! No Spray thought it would be a great way to get involved with others by supplying an all-organic, raw, chocolate that is good for you and taste delicious! Our chocolate is all organic! We use only four, simple ingredients including coconut oil, cashews and agave. All ingredients are raw, and we never heat it up, keeping ALL the medicinal qualities of the chocolate, coconut oil, agave and the cashews! Imagine, a chocolate that taste great, is great for you and is supporting local organic farmers! 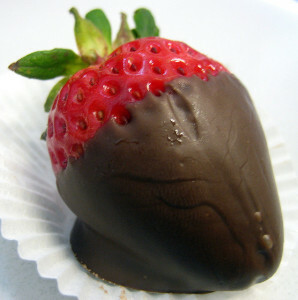 Now I want some chocolate covered organic bananas and strawberries! 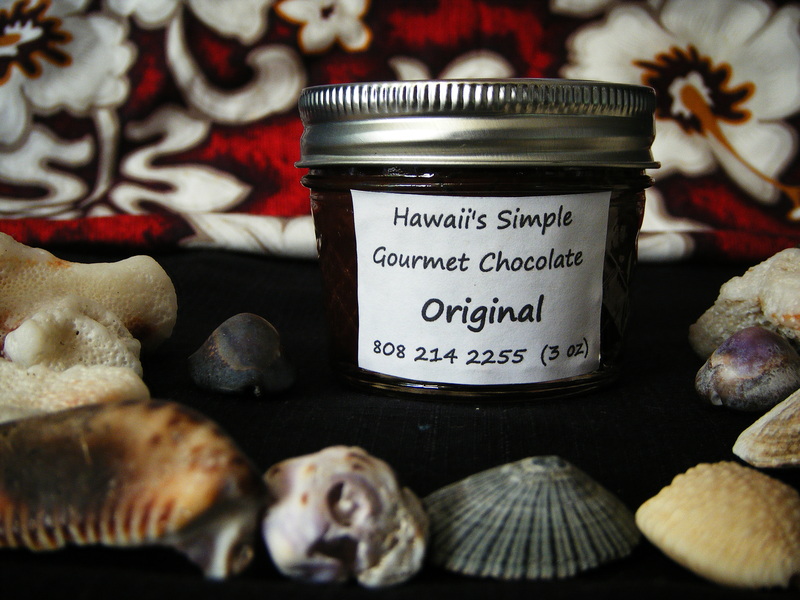 For more information about Hawaii’s Simple Gourmet Chocolate chocolate CLICK HERE! For medicinal properties of chocolate CLICK HERE! To purchase Hawaii’s Simple Gourmet Chocolate CLICK HERE! For ingredient list of Hawaii’s Simple Gourmet Chocolate CLICK HERE!